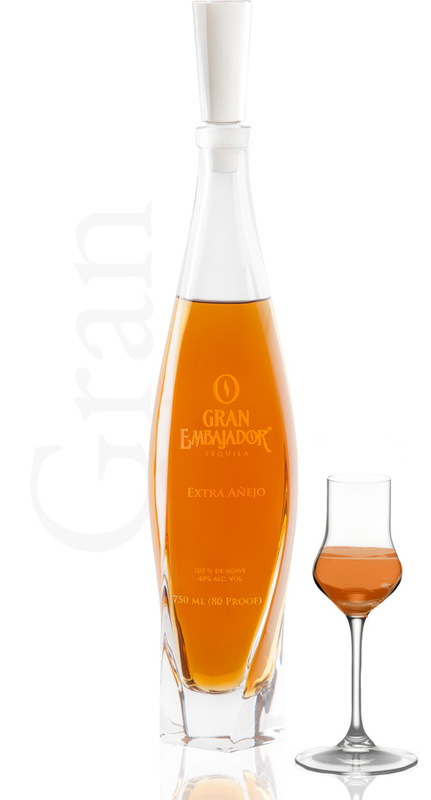 Gran Embajador is an exquisite Extra Anejo, its deep amber color with hues of orange are enhanced in the elegance of its unique hand blown bottle. 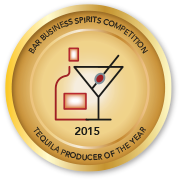 A mellow nose of cooked agave, mild floral tones, rich vanilla and caramel notes with some brandy undertones. Smooth, elegant flavor with tones of roasted sweet agave, hints of caramel, vanilla, butterscotch, apple and cherry unfold into a silky full body finish.